My mother’s family is German-Jewish. They lived in a small village in Germany for hundreds of years. They were successful and a part of the fabric of the community. Some owned shops; one served as the headmaster for the entire town. My grandfather was a scholar, earning his PhD in Classics and Archaeology before he was 27. One of his brothers was a chemist; the other, a doctor. One day in the early 1930s, my grandfather woke up to find he was no longer allowed to sit on park benches. So they left. During World War II my grandparents hid in Provence, France, taking on the roles of French peasants and ran a silk worm farm. That’s where my uncle and mother were both born. Thankfully, they survived, but the Vichy turned in my Great Uncle Freidl. After World War II they were blessed with the opportunity to come to America in the late 1940s. My grandfather, who had two PhDs at this point, spent his days working in a factory. At night he taught Classics at Yeshiva University. Eventually, he secured a job as head of a language department at a small college in Springfield, Mass. It’s been just about a week since Donald Trump was awarded the electoral votes he needed to become the President-Elect of the United States. Yesterday he appointed Steve Bannon, an avowed anti-Semite and white nationalist, as his Chief Policy Advisor. I keep on thinking about my grandparents, my grandmother’s screams, and my own children’s safety. I worry about my sister, a gay Jew, and the status of her marriage and the status of her wife’s adoption of their son. I worry about my fellow Jews, Muslims, people of color, and especially women of color. There are petitions going round, people encouraging others to take a stand and sign. But I won’t sign anything. I’m too scared to have my name on a list. The recipe I have for today was chosen for a few reasons. The first is because it’s from Yotam Ottolenghi, a gay Israeli who is married with two sons and has a Palestinian business partner. I would worry about him if he lived in the United States right now, but he’s currently based in the United Kingdom, a country that is also going through a hard right turn. The second reason I am sharing this recipe is because it features sweet potatoes. When my family hid in France, they ate what they grew and had access to. Apparently sweet potatoes were a daily part of their diet. After they made it to America, my Uncle Marcel vowed to never eat another sweet potato. As far as I know, he has kept his vow for nearly 70 years. I can only assure him that this dish is very delicious and the roasting of the fresh thyme and rosemary sprigs fills the house with a warm, lovely scent – very comforting after a terrible week. Preheat the oven to 375F. Peel the parsnips and cut into two or three segments, depending on their lengths. Then cut each piece lengthways into two or four. You want the pieces roughly two inches long and ½-inch wide. Peel the onions and cut each into six wedges. Place the parsnips and onions in a large mixing bowl and add ½ cup of the olive oil, the thyme, rosemary, garlic, 1 teaspoon salt and some pepper. Mix well and spread out in a large roasting pan. Roast for 20 minutes. While the parsnips are cooking, trim both ends of the sweet potatoes. 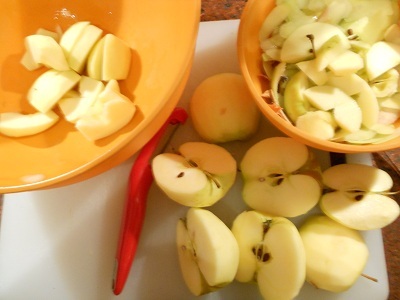 Cut them (with their skins) widthways in half, then each half into six wedges. Add the potatoes to the pan with the parsnips and onion and stir well. Return to the oven to roast for further 40 to 50 minutes. When all the vegetables are cooked through and have taken on a golden color, stir in the halved tomatoes. Roast for 10 minutes more. 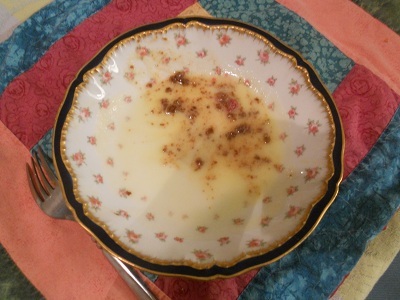 Meanwhile, whisk together the lemon juice, capers, maple syrup, mustard, remaining 2 tablespoons oil and ½ teaspoon salt. After I got over my supreme mortification that I was now solidly in a new, ahem, mature, demographic, I started to really read the magazine. Sure, like most magazines, there are great articles and some duds, but the food section has generally been in the keeper column. In fact, the May 2013 issue (with Sela Ward – remember Sisters?) encouraging me to “Have A Tart,” did just that. 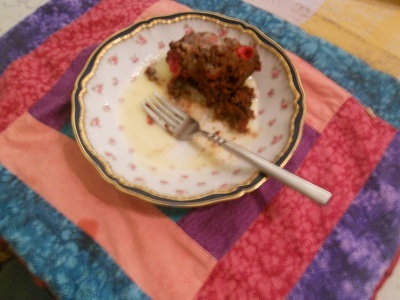 They provided a very basic tart crust – get out your food processor, easy – and I’ve been using this summer’s CSA to make their various suggested versions. 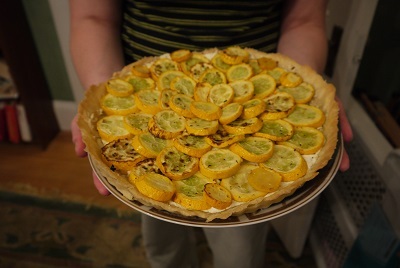 I am not going to share with you the Lemon Thyme Goat Cheese Tart with Summer Squash, which, I promise you, was as delicious as it sounds, but was very time-consuming. I had to blind bake the crust, and also had to get out the mixer to cream together the goat cheese, lemon zest, thyme and heavy cream. Now, then, let’s talk about the Tomato Tart. It is August, after all, and we should all be talking about tomatoes. The recipe calls for 1 ½ lbs. cherry tomatoes (a mix of orange, red, and yellow), but I simply used the pint from my CSA and added more Jarlsberg cheese. If you can’t find a farmer with fresh pints of cherry tomatoes, I would bet that the plastic containers of grape tomatoes in the supermarket will work like a charm. Now, about the cheese: I was a little nervous about sending you out to buy a cheese, as cheeses can get expensive, and this is Cheap Beets, after all. But there was a sale on Jarlsberg at the local market last week, so I considered it a sign that I should move forward with this recipe. 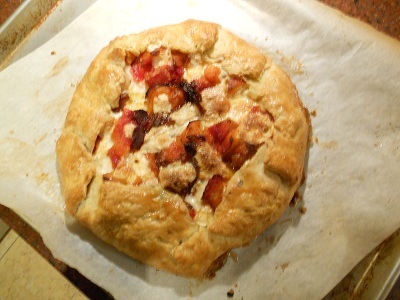 And, honestly, the cheese was key to this tart. I can’t imagine it with another type. The basic tart crust actually makes enough for two tart crusts. 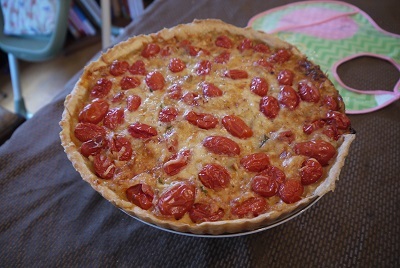 When I made the squash goat cheese tart, I froze the second flattened disk, and it was fine when I returned to it a few weeks later to make this tomato tart. Because I used the doughs for two separate recipes, I did not employ the cheese and herb crust variation for the tomato tart; I actually incorporated the thyme into the onion mixture. I’ll include the directions for the crust variation here, in case you want to make this tomato tart twice, like I’m actually going to be doing this week. But if you just want a good, solid tart dough to have on-hand in your freezer, make the simple variation. Although the dough comes together with a few whirls in the food processor, the dough still needs some time to chill, let alone the time the tart needs to bake, so it’s best to make this on a Sunday afternoon, and eat it during the week, rather than hoping to make this when you get home on a Tuesday after a long day at work. It would also be a great weekend brunch dish. I love this recipe. I didn’t really have cravings when I was pregnant, but I did, and still do, love a good slice of pizza. The roasted cheese and tomato in the buttery crust tastes like a more mature pizza. One that might read Ladies’ Home Journal, in fact. In a food processor combine the flour and salt. Add butter and pulse until butter is the size of peas. Whisk together the yolk and ½ cold water. Drizzle the liquid into the food processor while pulsing to combine. Pulse until the dough holds together when you pinch it, adding liquid as needed. Turn dough onto a sheet of plastic wrap and form into a ball. Divide in half and warp each half in plastic wrap, flattening into a disk. Chill until cold or ready to use, about 30 minutes. 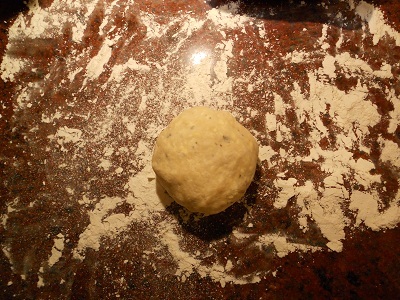 On a floured surface roll dough until it’s 3/16 inch thick and large enough to fit in the tart pan. 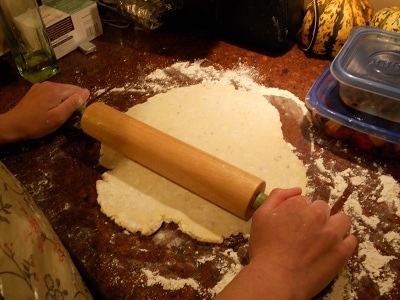 (Pinch edges of dough as you roll to prevent cracks and tears.) 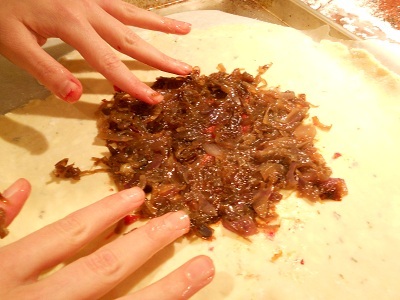 Place dough into tart pan; gently lift into place without stretching and press into pan. Use the heel of your hand or a rolling pin to trim the edges flush with the pan. Add ½ cup Jarlsberg cheese and 2 tsp. chopped fresh oregano or thyme to the food processor with the flour and salt. Proceed as directed. Heat oven to 375F. Line a 9-inch tart pan with a removable bottom with the rolled-out crust. Trim edges of crust and chill in the freezer until ready to fill. Heat the olive oil in a small skillet over medium heat. Add onion, shallot, garlic and thyme and cook until tender, about 5 minutes. Set aside to cool slightly. In a large bowl toss the tomatoes with the flour, salt, pepper and cheese. Add the cooled onion and thyme mixture and stir to combine. 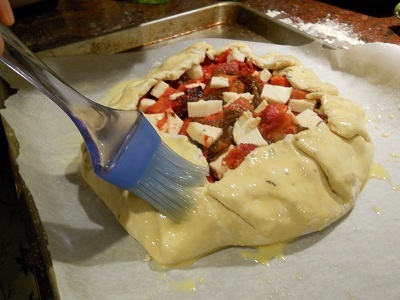 Fill the chilled tart shell with the tomato mixture. Transfer tart to a baking sheet and cover with foil. 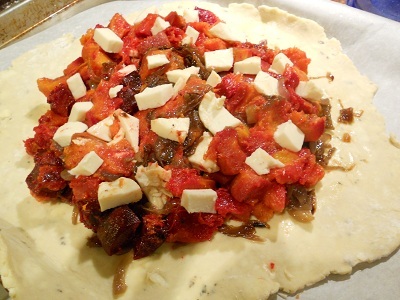 Bake 40 minutes, then uncover and bake 30 minutes more until crust is cooked through and tomato juices are bubbling. Cover with foil near the end of baking if tomatoes are browning. Cool tart slightly before removing the tart ring. 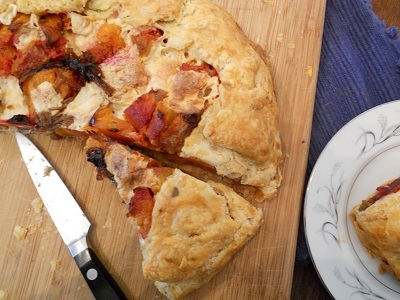 Use a spatula to slide the tart from pan base onto a serving platter. Five years ago, right around this time, I started coughing. I coughed in the morning, I coughed in the afternoon, I coughed in the evening, and when I put my head down at the end of the day, I coughed even more. Nothing seemed to help; in fact, lozenges, hot tea, and sips of water only seemed to aggravate it. 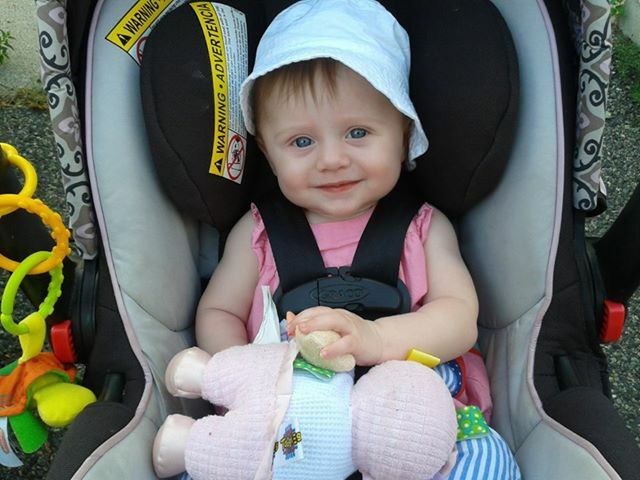 Some doctors thought I had asthma and began treating me with steroids. Others suspected it was a nervous cough that would go away once I got married that June. But after our wedding day, while we were on the cruise ship for our honeymoon, the coughing seemed to be even worse. In August of that year, after enjoying a rich meal at the French restaurant Sel De La Terre during Restaurant Week, my cough was worse than usual. “You know,” Rich began, “I don’t think you have asthma. I think eating is making you sick.” And he was right. It turned out I had severe acid reflux – Gastroesophogeal Reflux Disease or GERD, to be more precise. Basically, the coughing was me choking on stomach acid. I know, gross. Having figured out what was wrong meant I could start treatment and get better, but we soon discovered just how sick I was. Nearly everything I ate ended with me coughing. And I started to cut back on foods that made me sick, which, as it turned out, was pretty much everything I put in my mouth. Sure, there are certain trigger foods – chocolate, citrus, mint, spicy foods, alcohol, pickled things, caffeine and fat — but most fruits, and even many vegetables, were making me cough. I settled into a diet of plain rice, grilled fish or grilled chicken, sashimi, rice cakes with a shmear of jam, pretzels, and because they were fat-free, jelly beans and black licorice. I saw a nutritionist who recommended quinoa and amaranth, grains that would keep me healthy and wouldn’t irritate my stomach. But overall, my diminished options led to me losing a lot of weight. On June 24, 2007, my wedding gown was a size 10. By January 2008, I was a size 4. I was thin, but I was absolutely miserable. Slowly, I began adding foods back into my diet and gained back some weight. But by February 2009, the coughing came back and was even worse than before. I went back to my horrible diet, and again lost a ton of weight. Things seemed to have found a proper balance for the next two years, but by August 2011, I was coughing again. I ignored it as best I could, but my coughing was once again being disruptive. I finally saw my ear nose and throat doctor on Thursday afternoon who informed me my throat was as irritated as it was the first time she met me in 2007. “I know what to do,” I sighed. “But I really don’t want to. I have a food blog. What’s the point of a food blog if I can’t eat food?” My plan was to keep on cooking food and to pretend I wasn’t sick. But since this is going to impact what I’m able to eat (and cook), I’ve decided to come clean. Hi, I’m Molly Parr, and I have acid reflux so bad, that there are times in my life I can’t eat. I don’t want to stop eating through this newest course of treatment, so you’re coming on the journey with me. I might offer a recipe with notes suggesting how a dash of Aleppo or Srichacha can kick things up a notch, but I will most likely ignore my own advice. 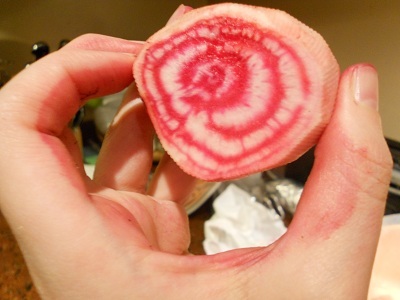 I told my doctor how the winter time, with all its low-acid roots, would make things less difficult this time. But then I remembered all the nice citrus that brightens cold January mornings and I started to get whiny. It will definitely be a fine line at times. A mellow garlic in a soup will probably not irritate me as much as a garlicky dressing brightening up a raw kale salad would. There will be more grains this year, harkening back to the nutritionist’s advice of an ancient grain diet. This past weekend I made a dish of a parboiled onion, chickpeas and boiled turnips and carrots which was all tossed together with some low-fat Greek yogurt. I ended up having to pick out all the onions because they were too pungent for me. This isn’t going to be easy, I know that for certain, but it will be an adventure. I entertained while I was sick and plan on continuing to do so. 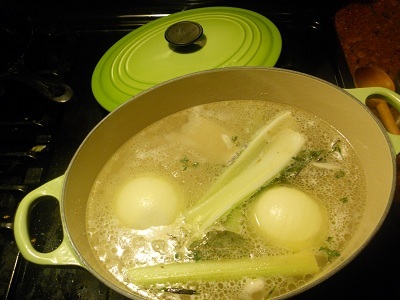 I think there will be more braises and stews in my future, which is just fine for January. This recipe from Cook This Now, the newest cookbook by Melissa Clark (she of the stuffed pumpkin fame), is the perfect example of a dish that can be altered to combat reflux. 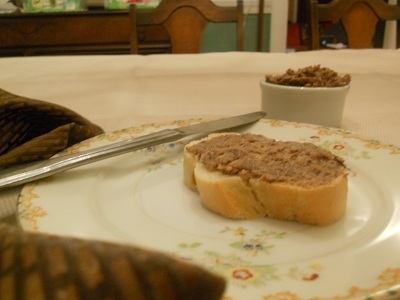 One can skip the minced raw garlic step as well as ignore the suggestion of sprinkling Aleppo when serving. We decided to throw caution to the wind tonight and added the minced garlic: the result was extraordinary. We had a slew of Parmesan rinds in the fridge which we added to our pot, but if you skip the cheese, this dish is vegan. If you have the time and would like to soak your beans ahead, this will shorten your cooking time. Put the beans in a large bowl and cover with several inches of water. Let soak for as long as you can. Overnight is optimal but even a few hours will hasten the cooking. When ready to cook, drain the beans and place them along with the oil, 3 of the garlic cloves, the celery, and the onion in a large pot over medium-heat. Bundle the rosemary, thyme, and bay leaf together, tie securely with kitchen twine, and throw it into the pot (or just throw the untied herbs into the pot, though you will have to fish them out later). Add the Parmesan rind, if using. Cover everything with water and stir in the salt. Bring to a boil, then reduce the heat to medium and allow to simmer, partially covered, until the beans are soft. This can take anywhere from 1 to 3 hours, depending on how long (if at all) you soaked your beans and how old your dried beans were when you go them. Meanwhile, while the beans are cooking, prepare the farro. In a large pot of boiling salted water, cook the farro, pasta style, until softened. This could take anywhere from 20 minutes to an hour, depending upon what kind you use. Drain well. When the beans are cooked, remove and discard the onion, celery, herbs, and Parmesan ride if you used it (you can leave the garlic cloves in the pot; they are yummy). Ladle half of the beans into a food processor or blender, add the minced raw garlic, and puree. Return the bean puree to the pot. (You can skip this step and just stir in the minced garlic; the broth will be thinner but just as tasty). Serve the beans over the farro, drizzle each portion with plenty of olive oil, then sprinkle with good flaky salt, red pepper, and celery leaves or parsley. 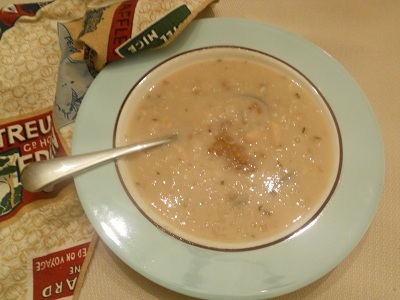 If the stew tastes a bit flat, swirl in some lemon juice at the end to perk up the flavors. Grated Parmesan cheese on top is also nice. But make sure not to skimp on the oil, salt and red pepper when serving, unless you have reflux. 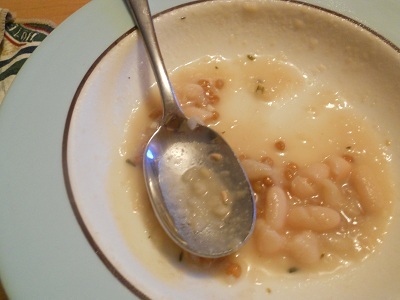 You can really substitute any dried bean you like for the cannellini beans. This basic bean recipe will work with any of them, though cooking times will vary. Look for semi-pearled farro. It cooks more quickly than whole farro – 20 minutes instead of an hour. If you can’t find farro, you can substitute wheat berries. To add some color and turn this into more of a whole meal, add a bunch or package of spinach, or a small bunch of kale (torn into pieces). Simmer until the greens wilt before serving. My bicycle, a 1960s English three-speed we bought for $60 at a tag sale in my hometown, lives in the front foyer from roughly mid-April to early October. It lives in the basement the rest of the year, easing access to the front hall closet for winter coats. I’m writing this in mid-December, and my bicycle is still in the front hallway, where I put it on Friday after I rode it home from work. It’s dark by the time I leave my office, and the bike ride home along the river has become one of the most pleasurable moments of my week. There’s a stillness to the air, and no matter how many cars pass me to my left on Storrow Drive, the world seems silent. I remark on this quietness because it’s the reverse of my morning commute, which is always cluttered by buses, cars and trucks all fighting their way to get to work on time. I plan my day on my ride in, and even before I get to the river and the safe bike path, I’ve decided on what to cook for dinner that night. But on these tranquil evening rides, my mind is as still as the chilled air, and I breathe in and out as I gaze across the river into Cambridge. I’ve tried to remember if evening rides home in the summertime were this serene. I can’t say for certain, but there’s something so lively about a warm summer evening, when it doesn’t even get dark until long past 8PM, that leads to me to believe the answer is no. The weather this weekend was more seasonal for Rich’s family Christmas party, and the temperature barely broke 30 today. It finally feels like December, but the forecast says it’s going to be in the 40s tomorrow. I don’t want to give up my evening ride of solitude along the river quite yet, so I’ve dug up my long johns to wear under tomorrow’s corduroys. For dinner tonight, we are having some odds and ends in the fridge: some mustard greens and white beans, and this leftover mushroom and walnut pâté from that holiday party yesterday. This is one of those recipes I mull over during my morning ride. Rich’s wonderful Aunt Nance, who I always look forward to visiting at family parties, asked me for the recipe just a few minutes after I’d set our offerings down on the counter. This recipe can definitely be made vegan, using olive oil, but that velvety richness that had Nance reaching for the knife was from the butter. It’s always the butter, isn’t it? There might be a butter crisis in Norway, but there’s been a sale on it pretty regularly at the market around the corner. I can’t help but buy a box if it’s going to save me $1.77 and I know it can all be frozen until it’s needed; sorry Sven. Rich has started to complain about the 10 lbs. of butter that falls out of the freezer every time he opens it up for an ice cube (“Think of the Norwegians, Molly!”), but I’ve decided to ignore him. The mushrooms I used in this version are crimini (aka “baby bellas”), but white button mushroom will work just as well. I clean mine by wiping them down with a barely moistened paper towel; I’m really just making sure all the dirt has been wiped away. Besides the butter, I keep my nuts, including these walnuts I bought from Ocean State Job Lot, in the freezer, as it keeps them from spoiling. 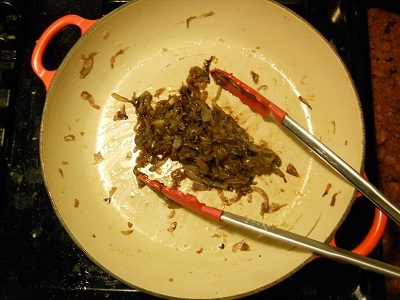 In a medium sauté pan, melt 1 Tablespoon of butter over medium heat and add the chopped shallots. Slowly cook them until they have gone from pink to translucent to brown; about 10 minutes. Shallots crisp very quickly, so if yours hits that point, remove them immediately from the heat. But don’t worry if they do, this has not ruined the dish. At all. Remove and set aside. 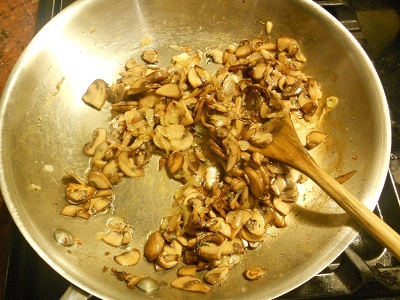 Melt 1 ½ Tablespoons of butter in a sauté pan over medium heat, then add the mushrooms. Let them cook in the butter for a few minutes without disturbing them. After about three minutes, give everything a stir. The mushrooms are going to give off a lot of moisture, and just keep on cooking them in the butter. After a few more minutes, give them another stir. In about 8 minutes in, add in a little pat of butter, about ½ Tablespoon. Cook the mushrooms for about 5 minutes more, by which time the mushrooms will have deepened in color and begun caramelizing. This is a good thing. 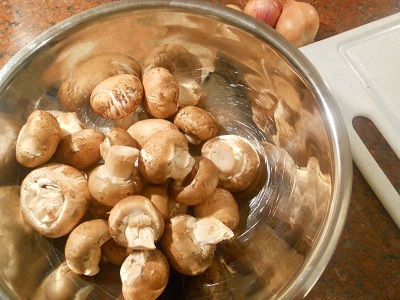 Once the mushrooms are a deep brown, add a pinch of salt, the roasted walnuts, thyme and shallots. Cook about 1 minute more. Transfer contents of the pan to a food processor, and press on. While everything is whirling, drizzle in enough olive oil to make the concoction moist, about 1/4 cup. Stop machine, give a taste, add more salt if necessary. This all should take about 15 seconds. Serve immediately on toast, bread, crackers, etc. Or, refrigerate for up to 4 days — that’s a guess, I’ve never had leftovers of this around that long! It feels like I moved to Boston a million years ago, but it was actually the fall of 2004. Gas was $2 a gallon, the Red Sox hadn’t won a World Series since before women had the right to vote, and not many people knew what a levee was. I had moved to town to write for a small Jewish newspaper. Which one makes no difference, really, but like so many things in life, I credit fate, some sort of divine plan that brought me here: My mom’s best friend sat next to a distant cousin at a family bar mitzvah. The long-last relative, Richard, was the editor of said Jewish newspaper, and he was on the search for a new writer. Less than two months later, Richard had hired me. I signed a lease, bought a T-pass and was on my way. My fellow writers had their own passions: Shira focused on religion and politics, and Penny focused on education and parenting. We were a team. Richard was our coach, creating the roster and calling plays. “Frame a story,” he would tell me as he created a box with his arms at 90 degree angles. A million years later – or, this past weekend – Richard gathered his team for a reunion potluck. We drove down to Rhode Island listening to the end of another lackluster Patriots’ game. The Pats failed to blow out their opponent, our car managed to blow out a tire on Route 95. Undeterred, we finally made it to our destination, albeit an hour late. Richard had made big pot of winter borscht, with large chunks of root vegetables and cabbage that floated in a ruby broth. There was a salad full of fruits – pomegranate, kiwi, apple and citrus – thick bread and a bean salad. 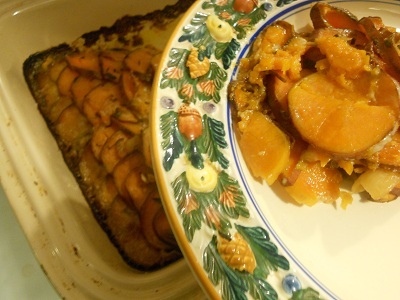 I brought this sweet potato gratin as a side and a cranberry molasses pudding (think Charles Dickens-type pudding) with a hard sauce for dessert. My gratin was a mere twist of fate – our friends Will and Gabi bequeathed their CSA last week to us, and I dug the recipe from that accidental Ottolenghi cookbook that’s turned into a tidy box full of tricks. Even trickier math was involved than last time, as I had one third less sweet potatoes the recipe, written in grams, called for. I had the heavy cream in the house because it was on sale a few weeks ago and thought that the need for heavy cream would reveal itself soon, what with all the holiday parties we were scheduled to attend. The recipe calls for a medium-sized pan for the gratin, and I found that my medium-sized lasagna pan was perfect for the tightly-packed orange coins. I used both sage and thyme because I had both on hand; I wouldn’t worry too much about it if you only have one of the herbs. I would strongly advocate using a mandolin for this project. 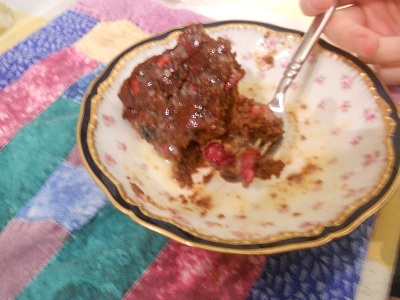 The pudding was even more unexpected: I was trying to come up with something for the remaining two cups of cranberries that hadn’t been strung on our tree, and I’d dug up a jar of molasses in the pantry during my clean-up a few weeks prior. I’d never steamed a cake before, and I did have to ask myself several times if I was doing it correctly. It turns out I did, although my bundt pan was a little tilted and the cake looked like it had a club foot. Don’t skip the cholesterol-laden hard sauce. It really makes the dish. I had hoped to use some more of the on-sale heavy cream for the sauce, but I opened Richard’s fridge and he magically had the half-and-half the recipe called for. Richard took out his family china for our fancy dessert. Couldn’t have planned that one better if I’d tried. 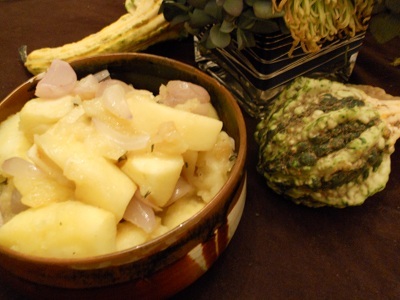 This dish is simple but effective, due to the way the potatoes are arranged in the baking dish. You can prepare everything a day in advance and have it ready in the fridge to just pop in the oven. The sage can be replaced with thyme, or you could use both. Make sure you choose orange-fleshed sweet potatoes (as opposed to the paler variety). Preheat the oven to 200C/Gas Mark 6 (400 F). 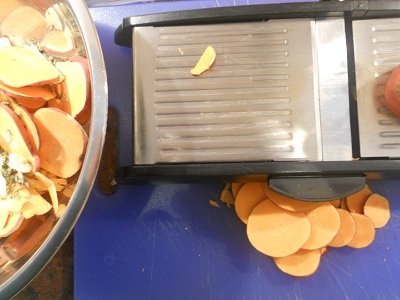 Wash the sweet potatoes (do not peel them) and cut them into discs 5mm thick. A mandolin is best for this job but you could use a sharp knife. In a bowl, mix together the sweet potatoes, sage, garlic, salt and pepper. Arrange the slices of sweet potato in a deep, medium-sized ovenproof dish by taking tight packs of them and standing them up next to each other. They should fit together quite tightly so you get parallel lines of sweet potato slices (skins showing) along the length or width of the dish. Throw any remaining bits of garlic or sage from the bowl over the potatoes. Cover the dish with foil, place in the oven and roast for 45 minutes. Remove the foil and pour the cream evenly over the potatoes. Roast, uncovered, for a further 25 minutes. The cream should have thickened by now. Stick a sharp knife in different places in the dish to make sure the potatoes are cooked. They should be totally soft. Serve immediately, garnished with sage, or leave to cool down. In any case, bringing the potatoes to the table in the baking dish, after scraping the outside clean, will make a strong impact. Gently fold together all of the ingredients through the cranberries in the order listed. Pour into a greased mold (I used a Bundt pan), and tightly wrap with several layers of foil so no water sneaks into the pudding. To make the sauce: combine the half-and-half, butter, sugar and salt in a saucepan. Cook over medium heat, stirring occasionally, until the sugar and butter are melted and the sauce is smooth. Remove from the heat and stir in the vanilla. 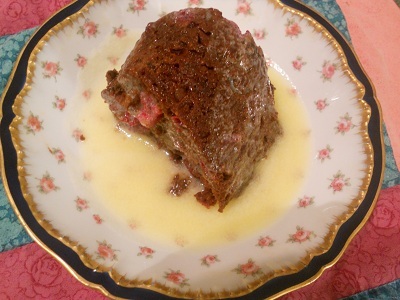 Serve the sauce warm over the warm pudding.